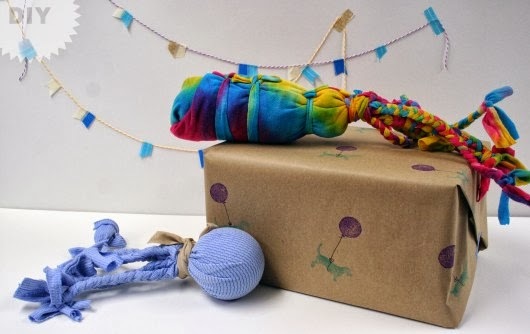 I enjoy making my own toys for Indigo & Lily and I love the creativity of these great DIY dog toys I found on Pinterest. Just had to share them with you! 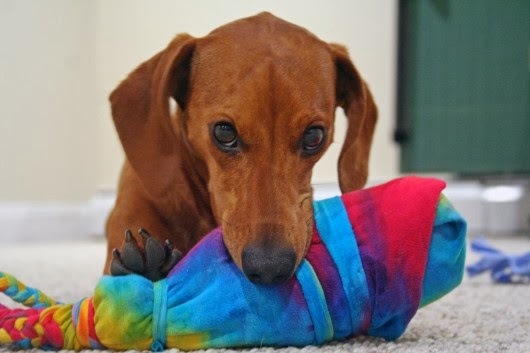 These jersey and fleece fabric wrapped ball and plastic bottle toys from Ammos the Dachshund are the perfect combination - soft, stretchy fabric to chew on and sound effects from the plastic bottle to keep them entertained. And, I love that the ball toy can be thrown for added interaction. 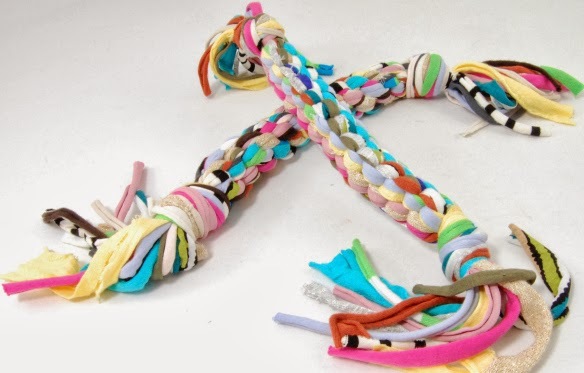 Love these t-shirt rope toys from Thrifty DIY Diva and LVLY blogs. 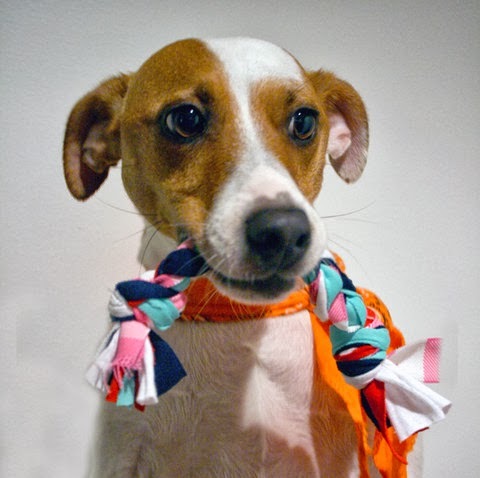 They are colorful, soft and stretchy and so enticing for your pup! 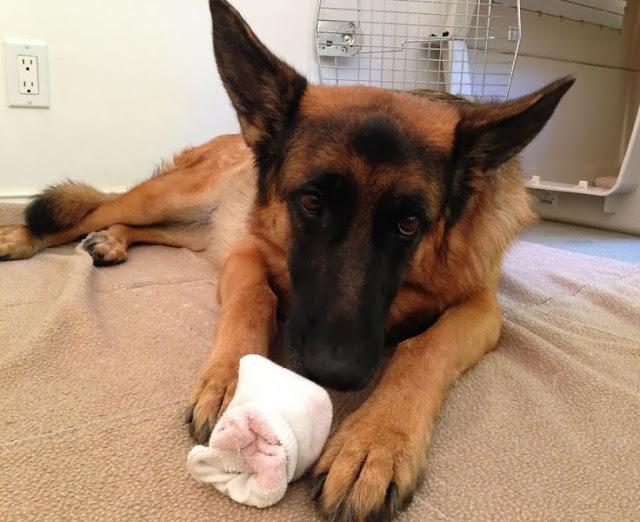 Lastly, I'll share that one of my dog's favorite toys is simply my gym socks placed together in a ball. It's a daily favorite and they go bananas over it! For the wrapped plastic bottle toy, I also put a few kibble in the bottle before I put it in the sock. This added to the fun and both Indigo & Lily loved it! For detailed instructions including pictures on how to make these great toys, click on each of the blog links above! ** Very important!!!! ALWAYS, ALWAYS, ALWAYS supervise your dogs when they are playing with toys as any toy could be a choking hazard if broken or torn!